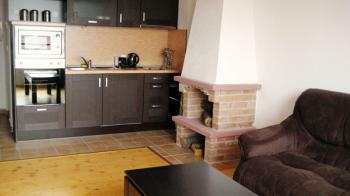 We have a few maisonettes for rent in our well arranged apart hotel complex - Four Leaf Clover - Bansko. All of them are very well furnished. They could easily accommodate 4 people, 2 on each floor. This option is especially good if you are coming on your winter ski holiday with friends and want to have some more privacy, there is a bathroom and toilet on each floor so we can say that each floor could be considered as a separate studio apartment.